What do you call that great little slice of Toronto, where Casa Loma, the upper reaches of the Annex and the crown of Yorkville meet? At the intersection of some of Toronto’s most in-demand neighbourhoods, the little-known area of South Hill hasn’t received the recognition it deserves. Burnac‘s new townhouse and condo development, South Hill on Madison, is a good reason to live in the hidden gem of a neighbourhood. Located at Madison Avenue and Davenport Road, the boutique building will be steps away from heritage homes, glitzy shops and relaxing ravine trails. The development’s six generously-sized townhouses have just been put on the market. Ranging from 2,100 to 2,400-square feet in total, the three-bedroom suites are also equipped with ample exterior space. Amenities include a gym and yoga studio, a media screening room with a large-format television, an outdoor courtyard and even a pet spa to make sure your furry friends get all the pampering they need. And for a limited time only, Burnac is offering a number of incentives for buyers of the townhomes, such as $10,000 cash back. And for the first two units only, buyers will be able to take advantage of free upgrades such as high gloss kitchen cabinetry, an integrated central vacuum system and six months free maintenance. Plus there’s only a 4 per cent commission on the properties. Taking cues from the surrounding turn-of-the-century architecture, Northgrave Architects will design the 7-storey, art deco-inspired building with exteriors that resemble Indiana limestone. 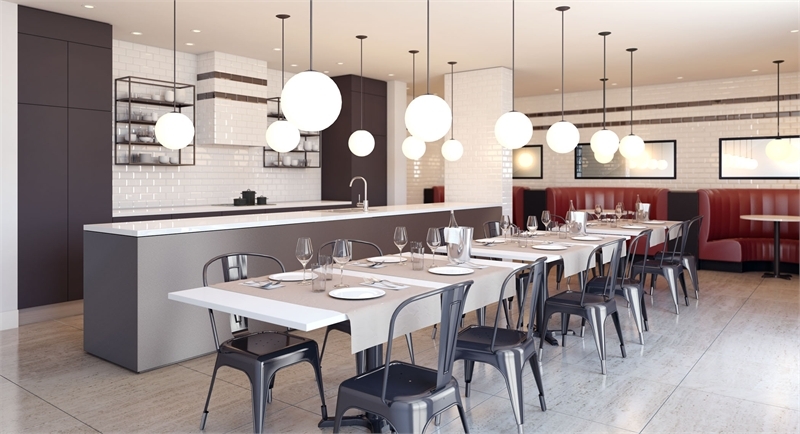 South Hill on Madison will bring a contemporary twist to the historic neighbourhood. Townhouses start at $959,900.